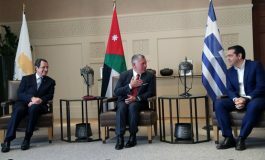 Athens.- “Freedom means to be upright and strong,” Prime Minister Antonis Samaras said on Saturday, addressing an event for the 40th anniversary since the founding of the New Democracy party. Explaining the government’s policy choices, ND’s president said the country was emerging from its six-year recession in the third quarter of 2014, would not need a new bailout and that the government was now delivering on its promise to end the economic crisis. The choice of venue was symbolic, since it was in the same banquet hall that ND’s founder Constantine Karamanlis had held the party’s first pre-congress in April 1977 and then its first congress in May 1979. The prime minister also attacked main opposition SYRIZA, saying it would “never become a government because it did not even manage to become an opposition,” and that SYRIZA will continue to lose voters now that things were improving since the attitude ‘there is money’ was more frightening to voters. “They are playing with things that are well over their heads,” he added, accusing SYRIZA of “incurable populism”. “The worst is over,” he said in response to questions, “and better times are coming.” Whereas, a few months ago, the discussion was focused on whether new austerity measures would be necessary, now the main issue was the tax relief that was coming, he pointed out. “A year ago, we were talking about how much higher unemployment would go. Now unemployment is starting to steadily decrease! A short while ago the debate was about how much longer the recession will last. Whereas now that the recovery is beginning, we are concerned about how fast the growth will be in coming years,” he said. The prime minister analysed ND’s role in dealing with the crisis, stressing that the party may have made some mistakes over its history, failing to resist those things that led Greece to the crisis in the first place, but had not stooped to the populism that lay behind it and shown great responsibility, not hesitating to support the country during difficult times. Referring to ND’s initial opposition to the bailout memorandums while main opposition, he pointed out that the party had nevertheless supported most crucial measures to cut wasteful spending and for structural changes that should have been made years earlier, before the crisis was reached. “For this we are proud,” he underlined. He attack SYRIZA, by contrast, as a “ghost from the past” and as “sirens of populism”: “They pretend they want to change the whole world but do not themselves want to change even the slightest thing that is wrong with Greece. They want the world to change but for Greece to make do with yesterday,” he said. “This development for the Constitution will be the issue that will dominate 2015,” he said. Among others, Samaras attacked the main opposition for ‘mixed messages’ concerning Greece’s position in EuroAtlantic institutions, especially in light of the volatile situation in the Middle East when many countries were lining up to join the EU and align themselves with the West. “At this time, to undermine the country’s European position is therefore dangerous. To undermine the country’s position in NATO is surely disastrous,” he stressed. 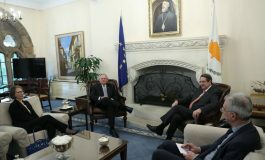 Emphasing that support of national issues and religious symbols have always been core values of his party, Samaras also referred to the main opposition’s ‘silence’ regarding the persecution of Christians in the Middle East, who were being driven from their homes in great numbers. 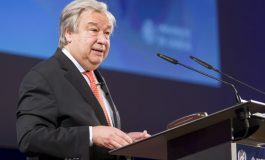 He wrapped up his speech by referring to the party’s role in historic milestones of Greece’s course, from its founding by Constantine Karamanlis and its entry into Europe right to the present day, as well as its warnings against the populism and policies that Greece had paid for so dearly. Stressing that the party will continue to be the dominant political force in Greece, he urged the party’s supporters and “all those that want to see Greece better and stronger,” to join in the party’s struggle. The event was attended by former premier Costas Karamanlis, the nephew of the party’s founder, several ministers, MPs and high-ranking members of the party. 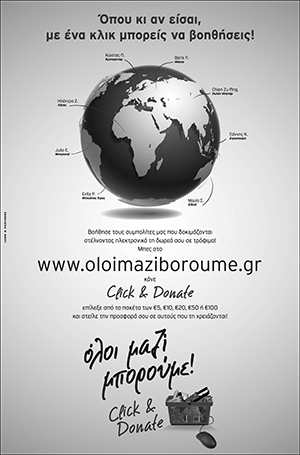 Speeches will also be made by Petros Molyviatis, Ioannis Varvitsiotis, Parliament President Vangelis Meimarakis, Vassilis Mihaloliakos and ND Political Committee Secretary Andreas Papamimikos. Attacking Prime Minister Antonis Samaras and his speech at an event for the New Democracy party’s 40th anniversary since its foundation, main opposition SYRIZA on Saturday claimed that the premier had converted the event into a “requiem”. “Instead of analysing the direction of his party’s strategy, he resorted to a delirium of extreme-right prejudice and inanity against SYRIZA,” a party announcement said. “Will he abolish the 462 implementing laws of the memorandum, the 25 Acts of Legislative Content and the hundreds of presidential decrees and ministerial decisions that carry out the memorandum? What exit from the crisis and what recovery does Mr. Samaras have the gall to talk about in an effort to deceive the Greek people,” the announcement added. “The hand grenade exploded,” opposition Independent Greeks party leader Panos Kammenos said on Saturday, in a sarcastic aside prompted by remarks made by Prime Minister Antonis Samaras during his speech at an event for the 40th anniversary since the founding of New Democracy. “The prime minister that broke all 18 of his pre-election promises now makes promises. The man who handed over the country’s national sovereignty now talks of country. The servant of the new order talks of religion. The ruler that made Greece’s middle class destitute now talks about dignity. The hand grenade exploded. Life to us,” Kammenos said.